Jemmco's Dyne Test Solutions are manufactured to ASTM Standard D-2578, and are available in (41) different levels ranging from 30 to 70 dynes/cm. Our Evens Kits includes all (21) even Dyne levels, ranging from 30 to 70 dyne, in the bottle size and style of your choice, in addition to a pack of (200) medical-grade cotton swabs. This versatile kit is ideal for customers with a wide range of treat levels. Our Dyne Test Solutions have a recommended shelf life of six months, and the expiration date is marked on each bottle. All of Jemmco's Dyne Test Products come with test procedures and the appropriate SDS documentation. a. 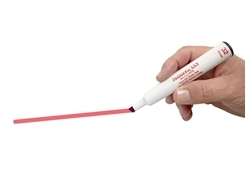 If your line breaks, the Dyne pen/solution level is too high. Retest using a lower Dyne level. b. 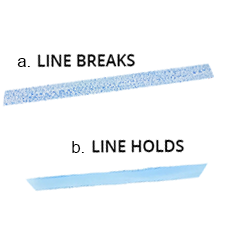 If your line holds, your material is at the tested level or higher. Dyne Solutions are composed of two liquids. One liquid possesses a very high surface tension level (Dyne Level), while the other has a very low surface tension level. 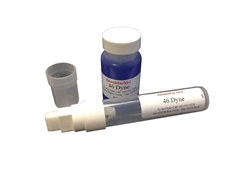 When mixed together in different percentages (in accordance with the ASTM-D2578 specification), the resulting solution will possess a dyne level that is between the natural levels of the individual solutions. A coloring is added to make it easier for the user to read the reaction of the solution on the substrate in question. Why Should I use Dyne Solutions? Dyne Solutions are the most accurate approach to dyne testing. 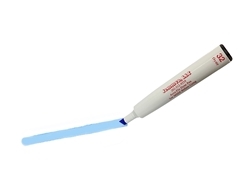 Although dyne pens are more convenient to use, dyne testing with solutions employs the use of a cotton swab (wooden stick), which is only used once and not dipped twice into the solution. Thus, any surface contaminants that are deposited on the swab, will be thrown away with the swab, and have no impact on future tests. 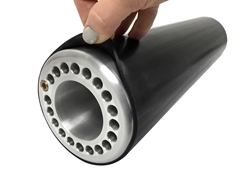 By removing the variable of surface contaminants, the testing is more reliable. Using a dropper bottle and a metering rod, further adds to the accuracy of dyne solutions, by applying a consistent amount of fluid to the substrate, preventing false readings, which are caused by over saturating the test sample causing the solution to require more time to break up then the 2 seconds normally specified. When Should I Use Dyne Solutions? Dyne solutions are recommended when accuracy is required. Dyne Solutions are often used in research laboratories, in quality control functions and process control functions. 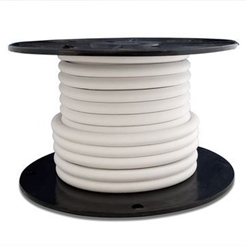 They are used by plastic film extruders and plastic molders, as well as by printers, laminators and coaters. 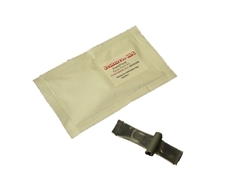 Dyne solutions are often used by metal processors to identify unwanted surface contaminants. Why Has My Dyne Solutions Turned Green? 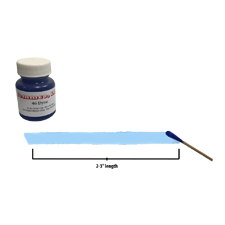 As mentioned earlier, dyne solutions are composed of two different liquids, each with different dyne levels, and a coloring agent. As the liquids are exposed to the atmosphere, the liquids will tend to evaporate. This rate will vary based on use, exposure and storage conditions, and may impact the expiration date appearing on the bottle. When the solution turns green, it is an indication that the level of evaporation or contamination is sufficient enough to impact the accuracy of the solution. Thus, GREEN SOLUTIONS SHOULD NOT BE USED, and should be disposed of, in accordance with your local regulations. Jemmco Dyne Solutions are manufactured to the ASTM D-2578 specifications and are made fresh, in order to assure consistency and accuracy. Jemmco Dyne Solutions are available in dyne levels ranging from 30 Dynes to 70 Dynes in one dyne level increments. Note: 8 ounce, pints and Quarts are available in narrow mouth bottles only. Gallons are only available in wide mouth bottles only. Each bottle of Dyne Solution supplied by Jemmco is clearly labeled with the proper dyne level and the 6 month anticipated expiration date. 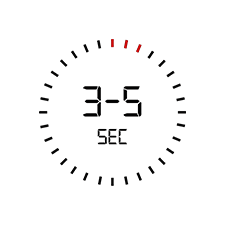 [(Note: this is the copy for the link from the highlighted word) The expiration date appearing on the bottle or the pen is the anticipated expiration date. This date may vary based on use, exposure to air and storage conditions. It should serve as a reference only.] All Jemmco Dyne Solutions are hermetically sealed in order to preserve freshness and to help extend performance life of the solution. 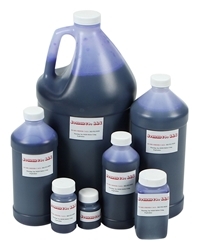 Jemmco Dyne Solutions are available with either blue coloring (which complies with the ASTM specification) or red coloring.